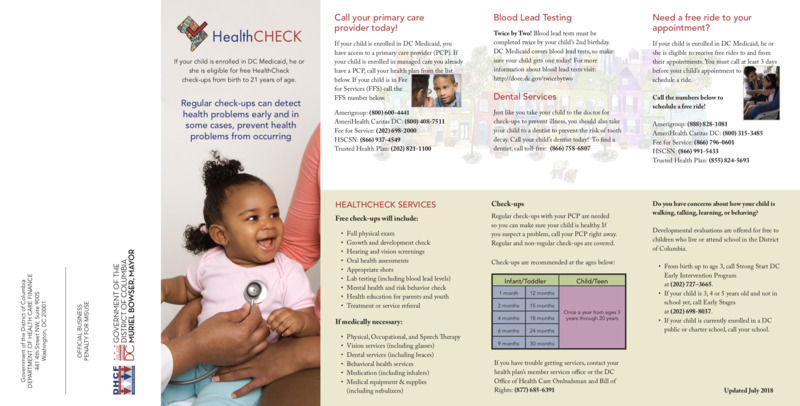 HealthCheck Brochure for Families (English and Spanish). This brochure, designed for families, explains the services covered under HealthCheck and provides contact information for families to recieve these services. 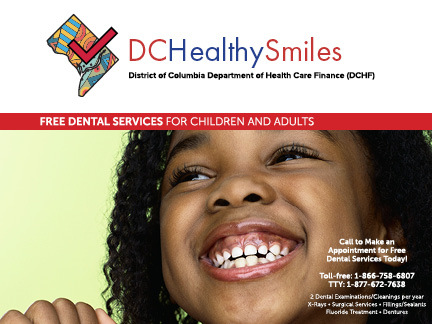 DC Healthy Smiles. This postcard, designed for families, provides information about dental services covered under HealthCheck and a toll-free and TTY number to make an appointment. 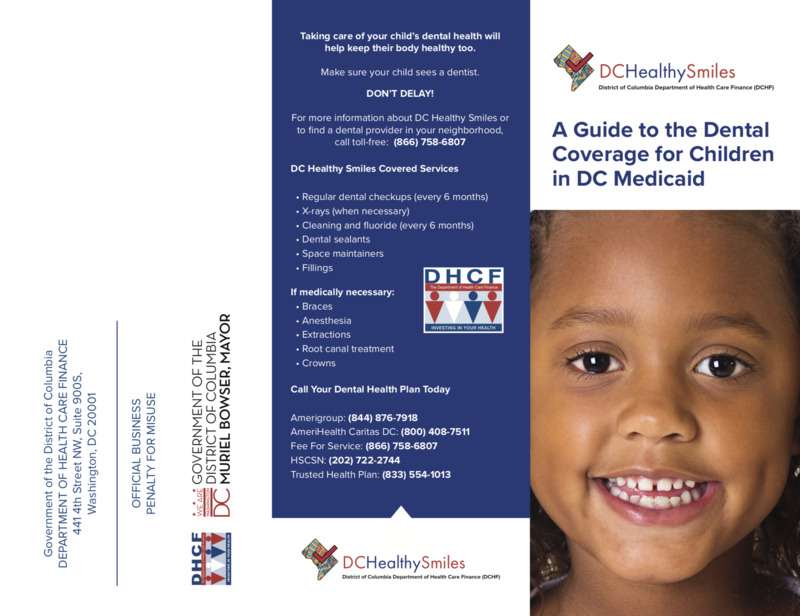 A Guide to Dental Coverage for Children in DC Medicaid. This brochure, designed for families, provides extended information about dental services covered under HealthCheck and a toll-free and TTY number to make an appointment. 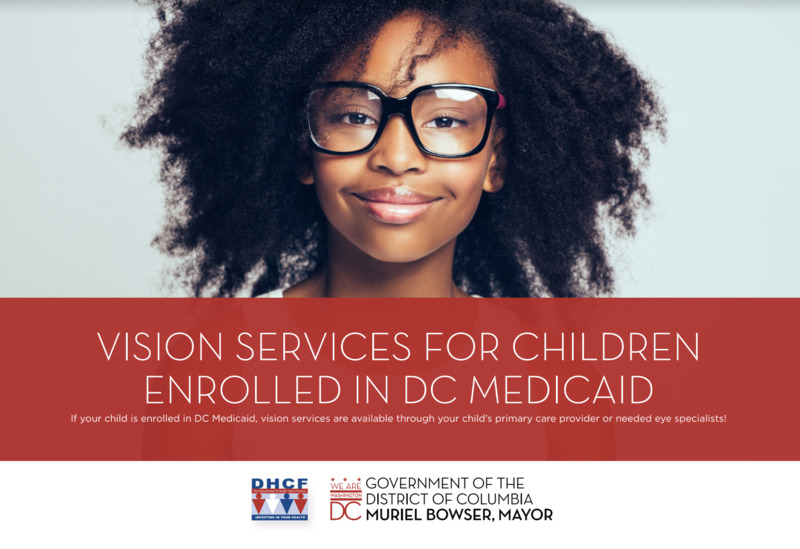 Vision Services for Children Enrolled in DC Medicaid. This flyer, designed for families, provides information about vision services covered under HealthCheck and a toll-free and TTY number to make an appointment. HealthCheck Provider Postcard. 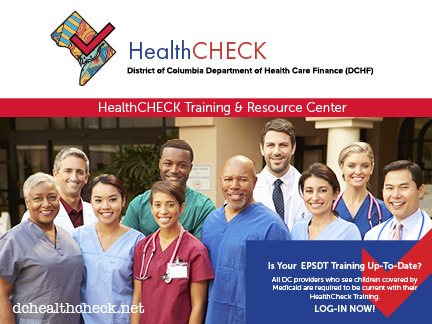 This postcard, designed for health care providers, explains the learning opportunities and resources that the HealthCheck Training and Resource Center offers to HealthCheck providers in DC. Lead Postcard. 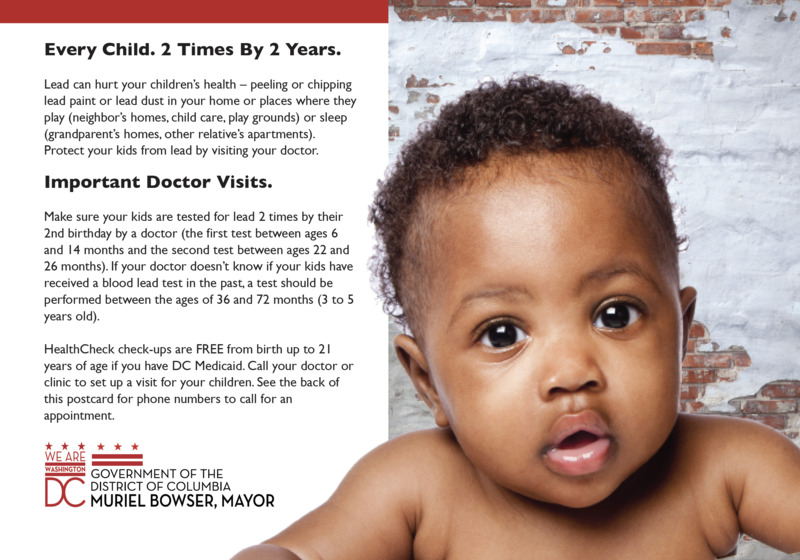 This postcard, designed for families, provides information about lead screening as part of HealthCheck services.